Dear Paprika: Dear Minister, RM5900 Per Household My Foot! 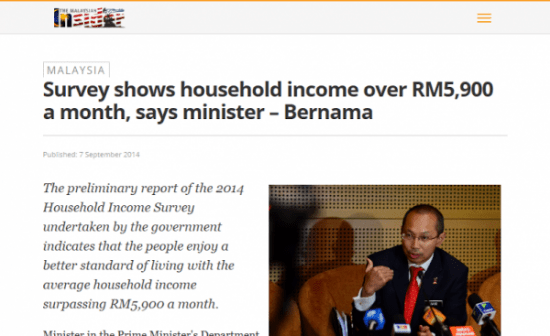 Recently, a news report stated that the Minister in the PM’s Department Datuk Abdul Wahid Omar said the average household income in Malaysia had risen to RM5900. When I read that, I shook my head in disbelief. Really, has Malaysians’ household incomes increased to RM5900? Has it even increased at all? Let’s take a gander back to our Standard 6 maths class to remind ourselves what “average” (also known as “mean”) is. “Average” or “Mean”: The value obtained by dividing the sum of a set of quantities by the number of quantities in the set. An example is (3 + 4 + 5) ÷ 3 = 4. The average or mean is 4. What probably happened is, the survey asked some people what their household incomes were, added them up and divided the answer by the number of people surveyed and arrived at the answer: RM5900.00 per household. It gives the impression that every household in Malaysia is earning RM5900 a month to feed their family, pay rent, make car repayments, etc., doesn’t it? Now, let me show you why taking the “average” is not a good indication of what the average really is. Now, let’s say, Bill Gates walks into the room. His net worth is RM243 billion. His monthly income is probably in the millions. Let’s say, he receives RM 1 million a month. So, what is the average income of the people in the room now? Wow! Just by getting Bill Gates to stand in the room with the clerks, the average salary rose to RM64,375.00 per person! Does that mean that we are over paying the clerks? Nope. Their salaries are still RM2000/month, actually. Nothing has changed for them. However, statistically, their “average” salaries have risen 32 times! Come on back down to earth, Mr. Minister. The average income of Malaysian households is definitely not RM5900.00. 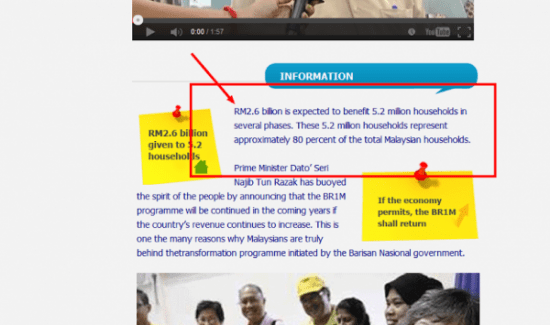 How can it be when 80% of households in Malaysia earned less than RM3000 last year and needed the assistance of BR1M. Are you saying that miraculously, their income jumped to RM5900 recently? Here is something scary: 20% of Malaysian households probably have an average income of RM17,500.00/month. How did I arrive at that? Well, it is Form 3 maths. Therefore, (x) = RM17,500. 20% of households in Malaysia have an average income of RM17,500/month. In other words, while 80% are struggling with RM3000 or less per month, 20% of Malaysians are enjoying an average income of RM17,500. That is RM14,500 more than the bottom 80%! How do you like that income disparity? Ideally, a good social structure should be a large middle income group with small low and high income groups. However, in Malaysia, we have a very large low income group who needs financial help every year. The saying, “The rich get richer while the poor get poorer” seems appropriate right now. 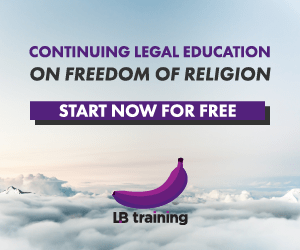 Even owning a home, one of the universal human rights, seems far fetched for many Malaysians. They have trouble affording their own roof-over-their-heads. Well, how are they able to when they do not earn enough to take a loan to buy one? The government has announced that they would build affordable homes to rectify this problem. Unfortunately, I have heard this promise repeated since twenty odd years ago. Property prices keep going up and out of reach for many Malaysians, making them rent and become tied to this burden forever. Incidentally, both Barisan and Pakatan governments have promised to build affordable homes for first time home owners. Dear Paprika, I cannot help but worry about your future. Like all fathers, I want to see you earn a good living and enjoy life as it is meant to be enjoyed. However, looking at the current statistics, you have a higher chance of ending up in the bottom 80% who will need the assistance of BR1M. Till Malaysia’s income gap closes and things change for the better, do not forget to double check your maths before making your calculations public less you embarrass yourself and your family. Posted on 19 September 2014. You can follow any responses to this entry through the RSS 2.0. 12 Responses to Dear Paprika: Dear Minister, RM5900 Per Household My Foot! the survey asked some people what their household incomes were, added them up and divided the answer by the number of people surveyed and arrived at the answer: RM5900.00 per household. It gives the impression that every household in Malaysia is earning RM5900 a month to feed their family, pay rent, make car repayments, etc., doesn’t it? Such a great article its tell us about paprika rm thanks for sharing good info web development company .